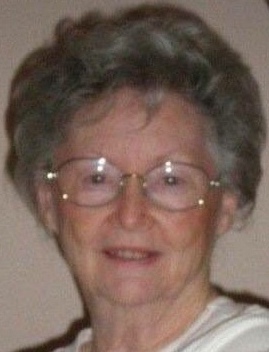 Paradise ~ Mary Lee (Brazil) Huntsinger, 83, a homemaker, went to be with our Lord Sunday, July 29, 2018 in Decatur. Funeral is 10:30 a.m. Thursday at Hawkins Funeral Home Chapel in Boyd with burial in Paradise Cemetery. Family will receive friends 6-8 p.m. Wednesday at the funeral home. Rev. Doug Acklie will officiate. Pallbearers include Shayne Middleton, Jake Middleton, Chase Middleton, Tyler Williamson, Taylor Middleton, and Kyler Middleton. Mary Lee was born May 18, 1935 to Lester and Ollie Lee (Moore) Brazil in Fort Worth. She was united in marriage to Richard Huntsinger on December 26, 2003 in San Antonio. Mary Lee was a member of the Fort Worth Antique Club. She was preceded in death by her parents; her granddaughter, Jacie Williamson; her brothers, Curtis Brazil and Harold Brazil. Those left behind to cherish her memory are her husband, Richard Huntsinger; her daughter, Scherrie Hall and husband Michael; her sons, Dale Middleton and wife Becky, and Larry Middleton and wife Stacy; her daughter, Tammie Williamson and husband John; her stepdaughter, JoAnn Thomas and husband Ray; her stepson, David Huntsinger and partner Clark Chang; her grandchildren, Shayne Middleton and wife Jill, Jake Middleton and wife Jennifer, Chase Middleton, Tyler Williamson and wife Krystal, Hannah Middleton, Taylor Middleton, Mallory Middleton, and Kyler Middleton; her step grandchildren, Quentin Hall and wife Michelle, Amy Hinesley and husband Russ, and Richard Thomas; her 13 great grandchildren; her brother, Bill Brazil and wife Sandra; numerous nieces, nephews, and a host of friends.